Treasure, the 2-year-old family dog, wouldn’t leave her side. Granted, this dog had always been a bit finicky. She wouldn’t get in the bathtub unless there were bubbles in it, and she liked to drink only from a running faucet. But now, she wouldn’t eat. She soon began to lose weight and fur, and she developed sores across her skin. From time to time, Byrd would walk over and wake her up, just to make sure she was still alive. She had to be carried outside to use the bathroom. The family feared they were losing Treasure — this dog they’d picked out at 6 weeks old for her big blue eyes, for the fact she was the runt of the litter, for the sense, it seemed, no one else wanted her. But they didn’t have a car to take her across Atlanta to a veterinarian, and taking the 50-pound dog on a city bus wasn’t an option either. Desperate, they ended up walking around the corner to the warehouse space that serves as home to the Atlanta center for The Humane Society of the United States’ Pets for Life program. They found staffers Rachel Thompson and Tim Freeman, and the next morning, Freeman came by early to drive Treasure to a veterinarian. Two days later, the dog was home, beginning her recovery from intestinal parasites, thanks to a treatment Pets for Life provided free. And soon, Treasure was back to her lovable self — waking everyone up for her morning romp by climbing into bed and sitting on their necks. One family. One touch. 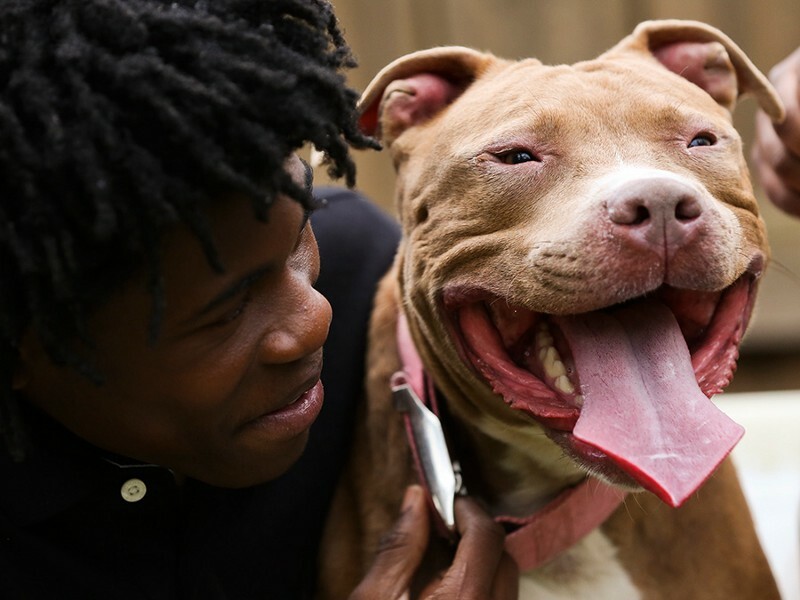 But those encounters are being replicated in underserved communities across the United States, where Pets for Life is making a game-changing difference for animals and the people who love them. For pet owners who do have cars or enough income to cover an unexpectedly high vet bill, the idea is horrifying that a beloved companion could be lost due to a lack of access to services or money to pay for them. But those barriers are a reality for millions of families — 23 million U.S. pets live in poverty — and Pets for Life has dedicated itself to helping surmount them. Every year, the program helps thousands of pets and their owners, providing free services like vaccinations, spay/neuter surgeries, training classes, pet supplies, food and one-on-one pet advice. 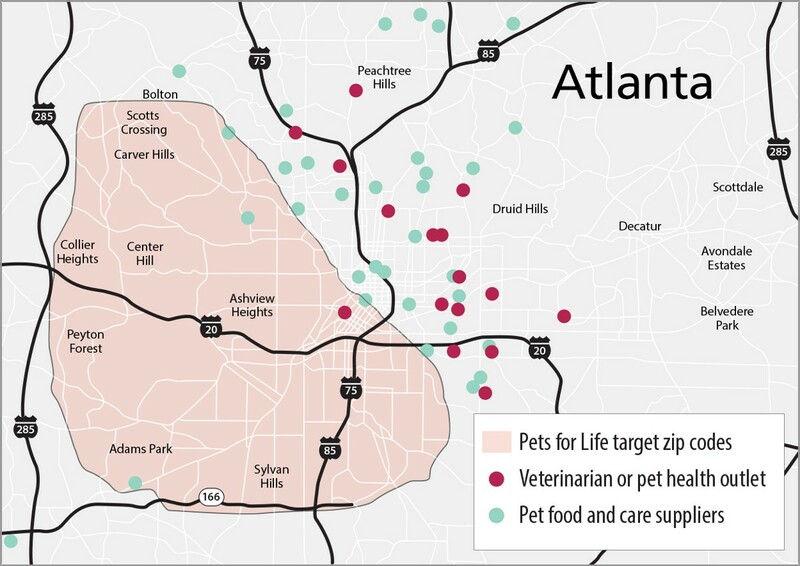 Pets for Life addresses pet resource deserts like the one highlighted across this swath of Atlanta, where an absence of pet services can present a major challenge for those who lack money and transport. It’s a groundbreaking approach, helping neighborhoods and pets who have historically flown under the radar in the animal welfare world. Pets for Life does it by building relationships, embedding in communities chosen not only for their poverty levels but their lack of access to pet care resources. The notion of food deserts is understood widely these days; Pets for Life addresses the pet service deserts that often accompany them. The program provides direct care in Philadelphia, Atlanta, Los Angeles and Chicago, but through its mentorship programs, it’s established an official presence in dozens of cities around the country. And by providing additional advocates with a toolkit, webinars, hands-on training and a steady stream of supportive emails and phone calls, it’s changing the tone on a much wider scale as well. In the Chicago community of North Lawndale, where nearly half the residents are living below the poverty line, where racial and gang tensions persist with neighboring South Lawndale, the Pets for Life team had been, for weeks, keeping its eye on a boarded-up house. Two dogs were often in the front yard, but staff could never get their owner to come out and talk. Through a window, they even asked for a phone number; the woman inside offered to take theirs instead. She never called. Finally, one night, a team member saw her standing alongside an ice cream truck. She stopped her car. She hustled over. She bought the woman a chocolate ice cream cone. And there under the train tracks, they finally chatted. It turned out the woman could have opted for public housing, but she would have had to give up her dogs. Rather than lose them, she’d stay in the boarded-up building, slipping in and out through a basement opening. That night, the woman agreed to let Pets for Life pay to spay one of her dogs. The program eventually helped spay the puppies from another litter as well. And the woman, in turn, introduced PFL staff to most everyone on her block. That’s how it works, down street after street. 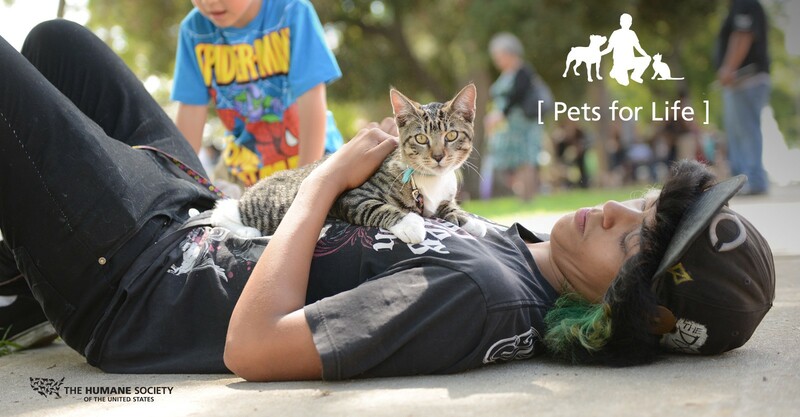 Pets for Life doesn’t just reach out, it moves in — becoming part of the neighborhood, engaging pet owners who traditionally have never visited a shelter or, in many cases, been able to take their pets to a vet. Staff spend time walking their neighborhoods, knocking on doors and talking to people. 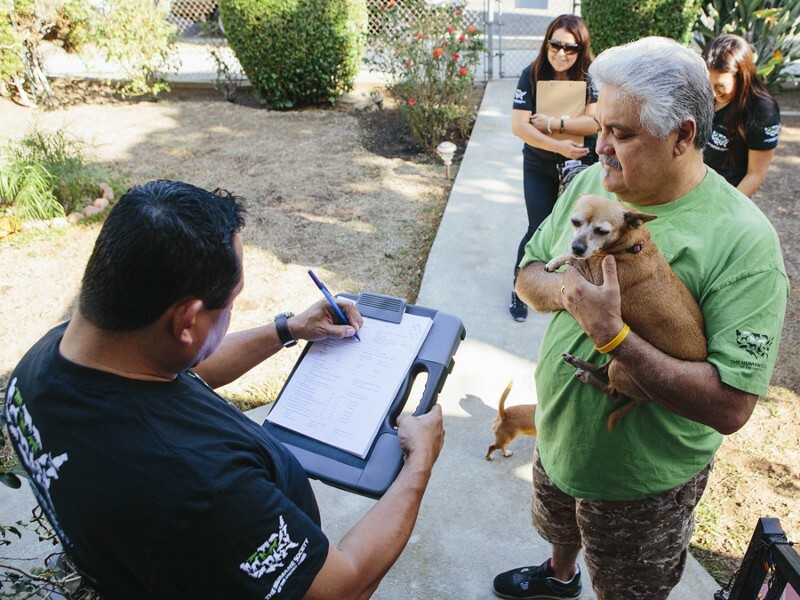 They call it “locking the block,” and their efforts consistently pay off at large community outreach events where, time and again, hundreds of pet owners arrive early to line up in parks or down city blocks for free vaccinations and spay/neuter. Staff and volunteers make more personal connections, too, driving a sick cat to a vet’s office or dropping off a bag of dog food when the money gets tight. They answer questions. They hold free dog-training classes. They make ID tags and hand out new collars. They go to bat for their clients in tough spots. And with each step, this program buzzes and builds with a contagious energy, with client after client becoming part of a larger family, a larger effort. In Philadelphia, a 14-year-old amorous Pomeranian named Brandit had fathered at least a dozen litters, earning his name by “branding” each of Betty Hill’s female Chihuahuas. The woman affectionately known as “Ms. Betty” kept Brandit fenced apart from the females in her backyard. Come wintertime, she would prop his crate up off the basement floor to keep the girls from getting to him. But still, they found a way. Ms. Betty explored spay/neuter; the cost was just too much. But then, it also became too much, over two litters, to watch four tiny puppies die. And so, on her daughter’s recommendation, Hill turned to Pets for Life, which funded operations not only for Brandit but for her other six dogs and one cat. Ever since, the woman has been on a mission. On one afternoon alone, she helped Pets for Life sign up a dizzying 40 animals for appointments. She’s part of the humbling, heartwarming trend: So many of those helped by this free program stick around to pay it back and pay it forward, becoming volunteers, advocates, ambassadors and even partners. Years before she would spearhead the Pets for Life program, Amanda Arrington launched a nonprofit aimed at helping chained dogs in Durham, North Carolina. Going door to door on her very first Saturday, she encountered a woman who initially just peered at her through a window. It took repeated visits—leaving a phone number one time, talking through a screen door the next—but finally Arrington was welcomed inside. That gentle, persistent approach was rewarded: The woman eventually agreed to get her three dogs neutered. Arrington drove them to their appointments, and one weekend, volunteers arrived to build a backyard fence, giving the dogs a space to run free. And so, Pets for Life emphasizes those relationships. It emphasizes showing respect, setting aside judgment, creating a consistent presence and setting realistic goals. The core principles revolve around the simple, powerful acts of showing up, coming back and making good on your word — particularly in communities all too familiar with being let down. For a long time, many in the animal welfare community believed that certain demographics of pet owners were ideologically opposed to spay/neuter. 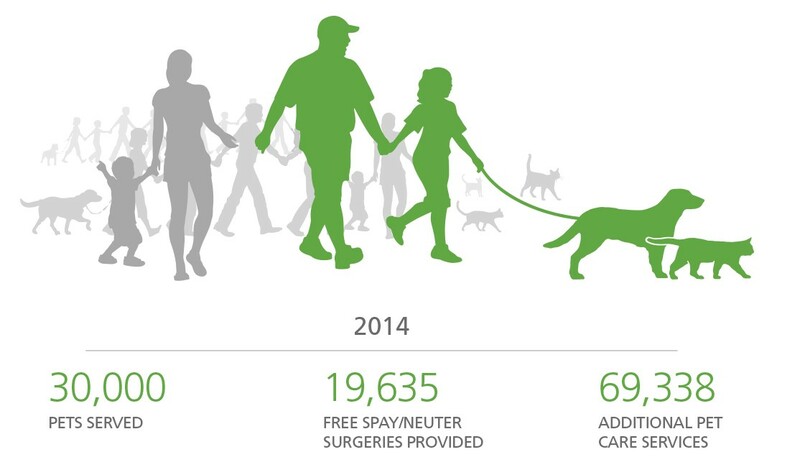 But the Gulf Coast campaign debunked that myth, showing that cost and a lack of access and information were bigger roadblocks — and that getting out in the community, starting conversations and offering free spay/neuter made an impact. 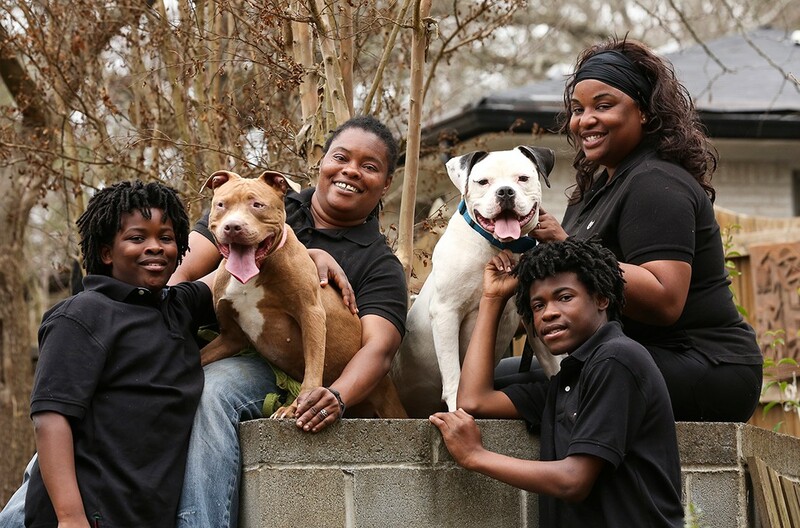 Months after their dog Treasure recovered from her scary bout with parasites, Byrd and Johnson in Atlanta began discussing getting a second dog for their boys, for Christmas. Once again, though, they faced limited options without a car. They knew of people in the neighborhood who bred dogs, but they were wary of diseases. They considered breeding Treasure too, for the chance to be a “grandmother” to a litter of puppies. But after an accidental false alarm, they decided to get her spayed. Pets for Life manager Rachel Thompson then presented another option: Staff gave them a ride to Fulton County Animal Services, where the family adopted a bulldog. The boys named him Powerade Rock Bird, or “Fat Daddy” as he’s now known. 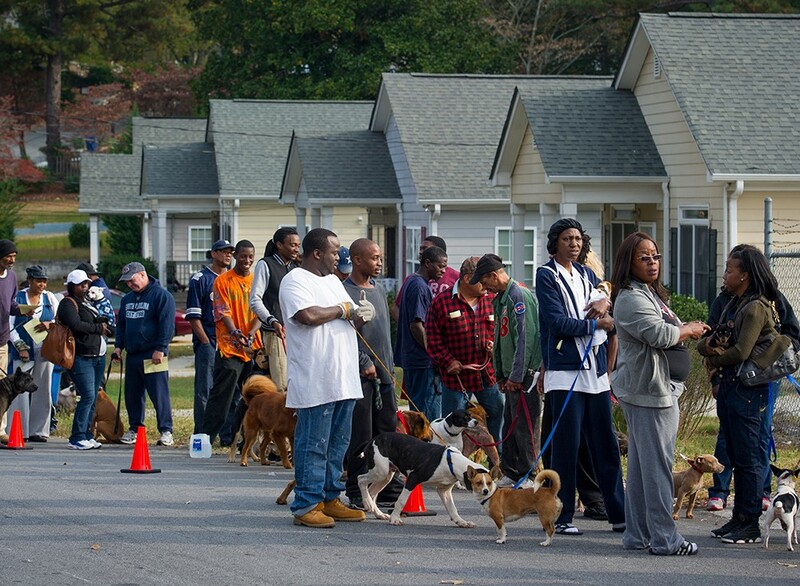 “It was an amazing experience, rather than having 14 dogs enter into the community, to go rescue one,” Thompson says. There is the elderly woman who now spends her days watching television with her adopted cat. There is the college student who immediately took her new dog Blue for a day at the beach. There is the young man who adopted a second dog to keep his pit bull company during the days; he’s emerged as a key Pets for Life advocate. Help pets and people. 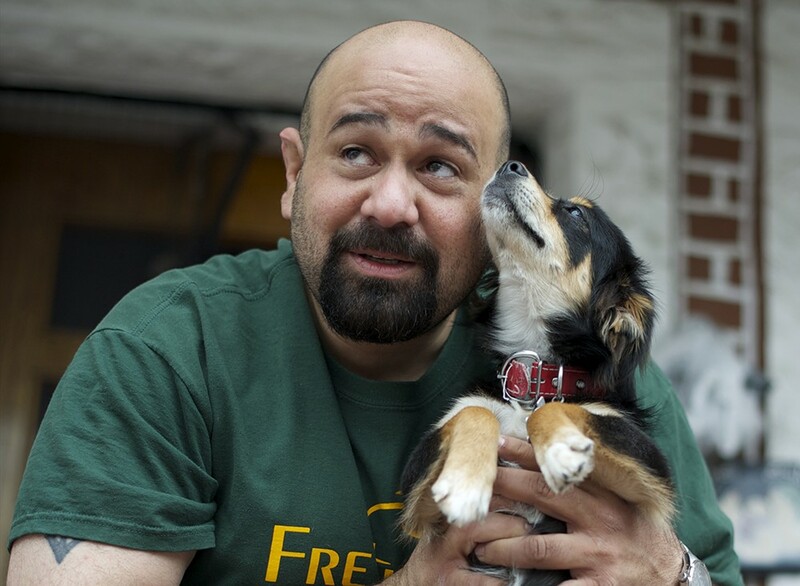 Support the HSUS Pets for Life program. The Humane Society of the United States (HSUS) is the nation’s largest and most effective animal welfare organization.